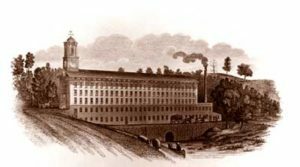 By the early 1800s, the factory system had spread to eastern Connecticut, and textile production would remain the state’s largest industry until the 1890s. The General Assembly attempted to stimulate economic development by abating mill owner taxes and exempting employees from serving in the militia. With its limited supply of fertile land either occupied or exhausted, one of Connecticut’s principal exports in the post-Revolutionary years was people. Between 1760 and 1840, almost 750,000 people left the state and headed west. 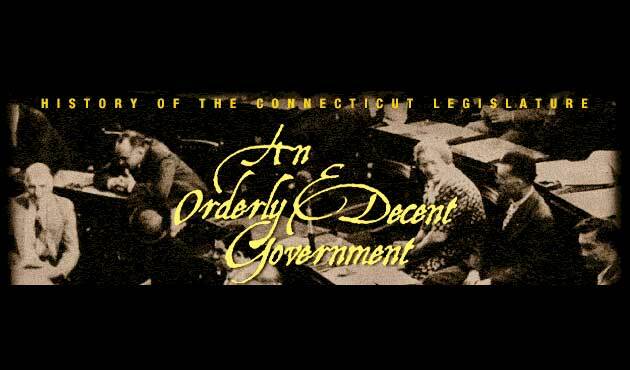 One observer noted in 1831 that one-third of the US Senate and one-fourth of the US House of Representatives had been born in Connecticut! Many in Connecticut opposed the War of 1812 and the Federalist-dominated General Assembly refused to put Connecticut troops under the authority of the US Army. The British attacked the state, nonetheless, and caused great destruction in Stonington and Essex. 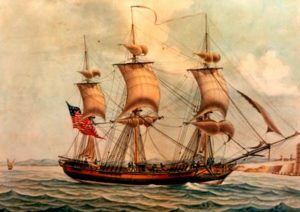 Connecticut offered “Letters of Marque and Reprisal ” to privately owned vessels like the Arbula that authorized them to attack British shipping. Connecticut’s “privateers” were a disruptive force throughout the war.